The following is a post written by Bonnie Duncan. She is currently finishing up her Campus-Missionary-in-Training Program and will be serving on staff next year with Chi Alpha at Georgetown University. So I have this friend. His name is Geoffrey. Geoffrey the Giraffe to be more specific. You can follow him on Twitter here. He would never tell you this (partially because he’s humble, but mainly because he’s a giraffe and can't talk), but he is kind of a big deal. He officially belongs to my friend Haydee, but we have a shared custody agreement. Now I could give you my 5 biggest tips for college freshman, but I’ve sort of developed a reputation for being that girl who never did the reading in class. But Geoffrey always did his reading, and is kind of just an all-around perfect giraffe so I’ll just let you in on a few of his secrets. Create great memories, not just a great resume. To everything there is a season. A time to do homework. And a time to create memories. Finding that balance is important. Be intentional about spending time with the people you care about. Even if that means making sacrifices in other places. Like good old Mark Twain says, 20 years from now you will regret the things you didn’t do more than the things you did. Don’t be that person. Carpe Diem. I know what you’re thinking. Geoffrey never said that. That I put him up to it because I’m an intern and it’s my job to tell people that. But you would be wrong. Everybody comes to college searching for something. And so do you. Maybe you are looking for that one person who would drop everything to help you. Or that person you could call at all hours and they would be there for you. Or that person that simply encourages you with a note or remembers your favorite snack on exam day. Don’t just search for that person. Be that person for others. Reflect the love of Jesus on campus in practical, but unexpected ways. That’s Geoffrey. He showed up early to help us set up for our Alpha Course. Cause he wants to be more like Jesus. Some of you make be thinking. Geoffrey’s not real. Why is he giving us advice? To which I respond you need to back off (in Christian love). But really, college and this time of transition creates enough serious moments for all of us. Learn to master the art of embracing whimsy. Sometimes it’s exactly what people need. All the time. Or at least most of the time. Yeah, I’m not gonna tell you what Peter said. Because it’s easy to base our opinion of Jesus on what other people say (even with our best intentions). 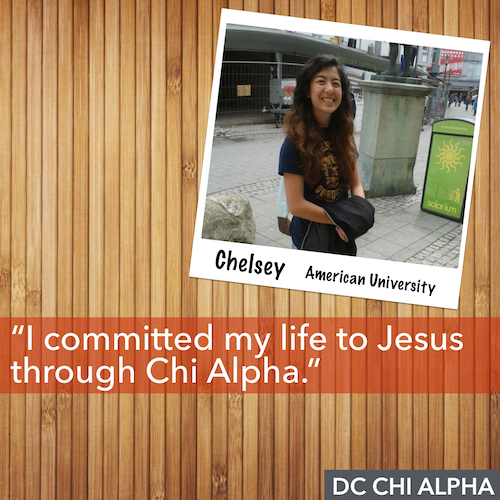 We build our faith around great things like joining small groups and going to Church and Chi Alpha, but what would you say if Jesus asked you that question? It’s okay if you don’t know the answer yet. But chew on it a lot these next four years when you have a spiritual family who can help you figure that out. Yes, that’s not exactly a tip and more a depressing statement. And yup. That’s a minute glass Geoffrey is holding. He really knows how to go for the jugular (in the most friendly way because giraffes would never hurt anybody). It’s sad, but true. In 4 years you will be gone. And 4 years after that, all the students who knew you here will be gone as well. Which has the potential to be an extremely depressing thought. But you are given a great opportunity. And it starts with this question: are you here to make a difference or are you here to make a name? The latter ends when you leave. But the former lives on in the lives that you touch. When I was a freshman, I had two small group leaders: Anna and Rob. 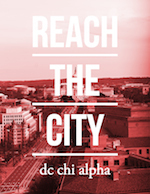 If you’re a Georgetown student reading this, then you’ve probably never heard of them. But they inspired me to be a small group leader for others. And the cycle continues. And through Jesus, the outward reflection of what God has done in you creates a legacy that is bigger than yourself. Be someone’s Rob and Anna.